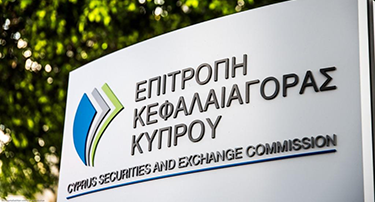 In preparation for the entry into force on 3 January 2018 of the European Securities and Markets Authority’s guidelines for the assessment of knowledge and competence, set out in its publication ESMA/2015/1886 dated 17 December 2015, the Cyprus Securities and Exchange Commission (CySEC) has issued a circular (C181 dated 2 February 2017) advising Cyprus Investment Firms (CIFs) on their obligations when providing information to clients on the services and instruments they offer, in order to meet their overriding obligation to act in the best interest of their clients. The circular establishes standards for the assessment of knowledge and competence for staff who are involved in the provision of information to clients regarding investment and ancillary services and financial instruments that the CIF offers. The relevant regulatory requirements are contained in articles 18(2)2 and 363 of the Investment Services and Activities and Regulated Markets Law of 2007, and in paragraph 44 and Parts V5 and III6 of CySEC Directive DI144-2007-01 of 2012. The circular applies to anyone, including employees and tied agents of CIFs, who communicates with existing and potential clients of CIFs with the objective of promoting the services and products of a CIF and providing information to clients regarding investment and ancillary services and financial instruments that the CIF offers. It does not apply to technical support staff, and those performing an ancillary role such as producing marketing and promotional material and undertaking other back-office functions. Persons to who the circular applies are prohibited from providing investment advice in relation to financial instruments. If the CIF is authorised to provide investment advice, it must be provided by authorised and qualified employees of the appropriate department. Understand the key characteristics, risk and features of those investment products available through the firm, including any general tax implications and costs to be incurred by the client in the context of transactions. Particular care should be taken when giving information with respect to products characterised by higher levels of complexity. Understand the total amount of costs and charges to be incurred by the client in the context of transactions in an investment product, or investment services or ancillary services. Understand the characteristics and scope of investment services or ancillary services. Understand how financial markets function and how they affect the value and pricing of investment products on which they provide information to clients. Understand the impact of economic figures and of national, regional or global events on markets, and on the value of investment products on which they provide information. Understand the difference between past performance and future performance scenarios as well as the limits of predictive forecasting. Understand issues relating to market abuse and prevention of money laundering. Assess data relevant to the investment products on which they provide information to clients such as Key Investor Information Documents, prospectuses, financial statements, or financial data. Understand specific market structures for the investment products on which they provide information to clients and, where relevant, their trading venues or the existence of any secondary markets. They should possess an appropriate qualification, such as success in the basic CySEC certification examinations and registration in the Public Register, and should have experience in the provision of such services to clients. Individuals not meeting these standards must be appropriately supervised until they do. CIFs must ensure that skills are kept up to date by means of continuous professional development or training for the appropriate qualification, and by specific training relevant to the individual’s activities. CIFs must clearly define the roles and responsibilities of the persons concerned, and ensure that they are aware of, understand and apply the CIF’s internal policies and procedures designed to ensure compliance with the relevant regulatory requirements. Remuneration must be in conformity with CySEC Circular C138 on remuneration policies and practices and CIFs must ensure that individuals use their real name and not an alias, and do not give mislead clients regarding their credentials when communicating with them. CIFs must compile an information script or a standard FAQ template, approved by the compliance function and the board of directors, setting out the information that can be shared with clients. CIFs must ensure that “hard-selling” practices such as frequent and repeated telephone calls to clients, the use of aggressive language, and pressuring clients to invest or deposit funds are never used, as they are not consistent with the provisions of article 36(1) of the Investment Services Law. CIFs must establish, implement and maintain appropriate performance assessment and disciplinary procedures and ensure that these are communicated to staff. If any member of staff is dismissed for a serious violation of regulatory requirements, the CIF must inform CySEC of all the circumstances so that CySEC can take appropriate action. CySEC considers the activities covered by the circular to be important operational functions of the CIF which should be provided internally. It is highly unlikely that outsourcing these activities to a service provider established in a third country would be acceptable to CySEC. However, outsourcing the activities to a service provider which is situated elsewhere in the EU and authorised pursuant to Directive 2004/39/EC on markets in financial instruments, or to a tied agent acting under the full and unconditional responsibility of the CIF and registered in accordance with article 40 of the Investment Services Law, may be acceptable. Nevertheless, the onus remains on the CIF to supervise and manage the outsourced functions and to take appropriate measures if it determines that the service provider’s performance is deficient. CIFs must ensure that their compliance function has sufficient resources and direct access to all relevant information required to monitor the activities covered by the circular, whether they are performed in-house or outsourced to a service provider. Particular attention should be paid to telephone communications with clients. The CIF, and the compliance function in particular, should maintain adequate records to enable CySEC to exercise oversight. In the short term, CIFs are required to review their policies and procedures to ensure that they comply with the requirements set out in the circular, to ensure that client-facing personnel possess the necessary knowledge and competence, and to take any necessary corrective measures without delay. They are required to provide CySEC with written confirmation by their board regarding these matters no later than 2 May 2017.